April’s Rare Double Libra Full Moon Is Going To Change Everything! It’s actually pretty rare when you have two full moons under the same sign in a row. 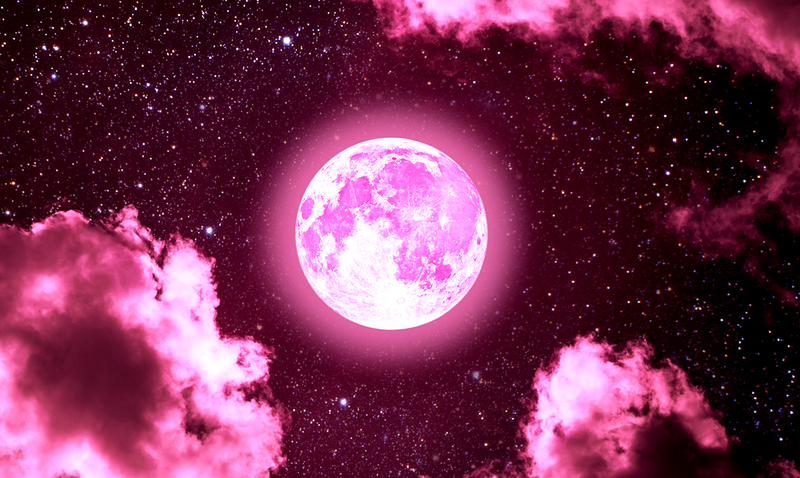 And to make things all the more extraordinary, we will have the second full moon in Libra that has occurred during ‘Aries season,’ so if you are feeling a bit off, that’s probably why! According to AstroStyle, the double-Libra moon will usher in some pair-bonding vibes, and with this relationship/partnership/friendship oriented energy running rampant, make sure to take the time to do a number of things to not only take advantage of this amazing energy, but also to get through it. Make sure that you define the relationships you are in- either find out what you mean to the people you love, or be forced to do so later, now that Aries season is almost over. Libra may have you seeking partnership, with an impulsive mannerism, due to Aries, but eventually the curtain will fall. And while the energy of Libra will have us all trying to seek balance, communicate with our partners lovingly, and to bring justice and truth into our lives, the stubborn and intense energy associated with Aries is going to have us all going hard until we drop. Of course, a full moon is already especially intense, and can be overwhelming to some, so it may have you reassessing a lot of things in your life. Even more so, now that the new moon in Aries has passed. I have found that the manifestation energetic shift that was associated with the Aries new moon/double Libra full moon portal has brought many of us new beginnings. And while new beginnings aren’t always the easiest thing, especially when we are pushed to the brink to accomplish it, you should probably be toting a few stones around, and taking time to meditate. I would suggest sitting with moonstone, and possibly even drawing an oracle card or two. If you don’t have one, they are available online in printout versions, and you can simply cut them out, place them in a bowl, and draw one. If that isn’t possible, at the very least, find a citrine stone to carry with you. It is not only cleansing, but the sunshine like beauty of this stone is good for abundance as well as motivation to push you through, but in a healthy way. Don’t fret though, because if you sit back and think intuitively and stay grounded, this energy may be just the thing you need!